South India is the Lower Most Peninsular Portion of India. As per the Political Map, South India consists of Four Indian States which are Tamil Nadu, Andhra Pradesh, Karnataka and Kerala. All the states of South India are well connected by Air, Road and Rail. Tamil Nadu consists of places like State Capital Chennai, Kanniyakumari and Ooty. Kanniyakumari is situated in the Southern Most tip of Tamil Nadu and is also considered as the last point of Main Land India. Ooty is an attractive Hill Station of Tamil Nadu with Coimbatore as its Base Station. Andhra Pradesh consists of various places like State Capital Hyderabad, Tirupati and Warangal. Hyderabad has its twin city Secunderabad adjacent to it and is a developed IT City. 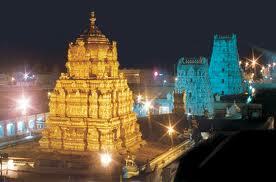 Tirupati is a renowned Pilgrimage Destination and Warangal is an important city known for its ancient structures. Karnataka consists of various places like State Capital Bengaluru, Mangalore and Mysore. Bengaluru is also a developed IT City and is a competitor to Secunderabad. Mysore is also a beautiful and ancient city of Karnataka. Kerala consists of places like State Capital Thiruvananthapuram, Kozhikode and Kochi. Kerala is also fondly known as God’s Own Country. All these Four South Indian States are very well connected by the Indian Railways Network. The Rail Network spanning the Coast Line States of Kerala, Karnataka, Goa and Maharashtra is known as the Konkan Railways. 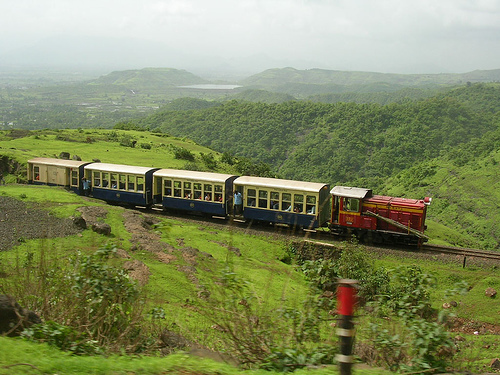 This Rail Network lies between Roha in Maharashtra and Mangalore in Karnataka via West Indian State of Goa. The Road and Aviation Network between these Four South Indian States is also very good. The appropriate time for visiting South India is between November and March when humidity is under control and temperatures are low. Thus, traveling to South India can be a great experience to visit hill stations, beaches and temples all at once in cities like Vishakhapatnam and Chennai. West India is a land which witnesses the Sunset in the last in the entire nation. As per the Political Map, West India consists of Three Indian States which are Maharashtra, Gujarat and Goa. All the states of West India are well connected by Air and Road and quite well by Rail also. Maharashtra consists of interesting places like its State Capital Mumbai which is also known as the Financial Capital and Bollywood Centre of India, Pune which is a growing city in the field of Information Technology and Nagpur which was earlier the State Capital of Maharashtra and is also famous for its Orange Plantation. Hill Stations like Matheran and Mahabaleshwar are also very prominent holiday destinations in Maharashtra. Gujarat is famous for its prominent Business Centric Cities like State Capital Ahmedabad and Diamond Trade City Surat. It also consists of places like Pilgrimage Destination Dwarka, Saputara which is Gujarat’s only hill station and the famous desert named “The Rann of Kutch”. 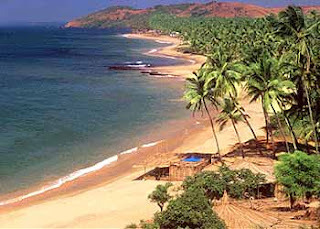 Goa consists of interesting cities like its State Capital Panjim, Vasco and Madgoan. This state is regarded as one of the best Holiday Destinations of India and the state is famous for its beaches. At the moment, Panjim is not connected by Rail and the nearest station to Panjim is situated in Madgaon. Trains from Thiruvananthapuram to Delhi Nizamuddin like the Rajdhani Express and Duronto Express travel via Madgoan. The Rail Network in the State of Goa is developing at a good pace. In a few years, Goa will be strongly connected by Rail with the rest of India, especially with its neighboring states of Maharashtra and Karnataka. The Road Network is also developing at a good pace and the Aviation Network has already been established. Many foreigners also visit places in Goa and the rest of West India for Tourism as well as for Business Purposes. Now the beaches of Maharashtra and Gujarat also want to compete with the beaches of Goa for boosting their own State Tourism. Thus, traveling in West India can be a great experience for witnessing various nice beaches and food cuisine like Sea Food which the Arabian Sea has to offer.